Nature is tough, and the strong survive. 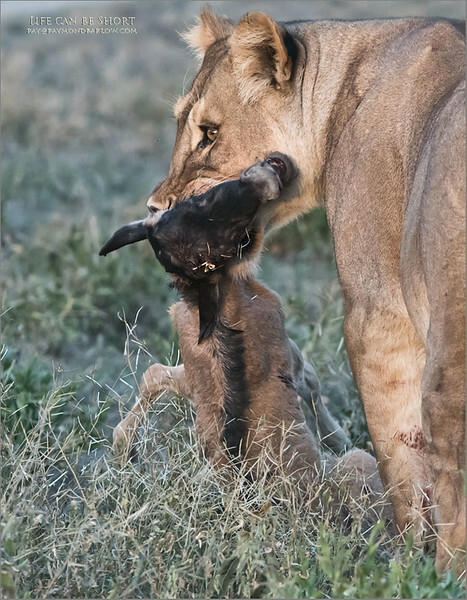 From 15 yards, my guests and I watch this 300 pound lion munch a 4 day old wildebeest, dead in seconds... but like any smart cat she decided to have some fun. Real wildlife drama, so amazing that we saw three live kills during this tour in February.